I'm often wishing that I didn't have such a brightly colored backpack. Whenever I'm tryna straight dodge and weave to stay out of someone's view, they see me. Basically, I wish I had some camouflage. 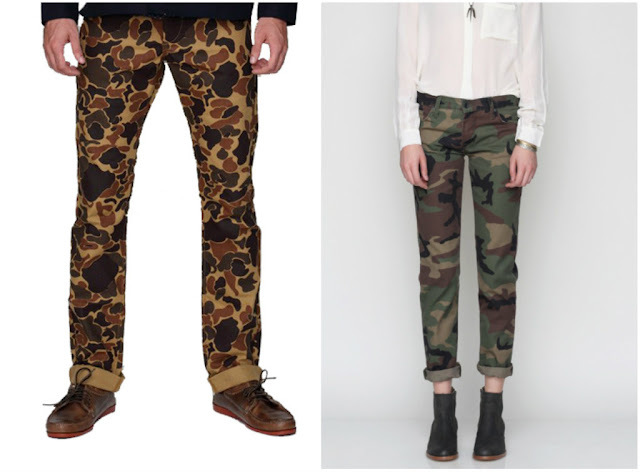 Camo has been trendy for a while now, but I'm really just starting to hop on the bandwagon. I wore my brother's camo shirt earlier in the year, but now I'm feigning for some camo duds of my own. Most of these are on the pricey side, but dat's life. Bape Vest. I couldn't do a post on camo without including a pick from the eternally cool Bape. 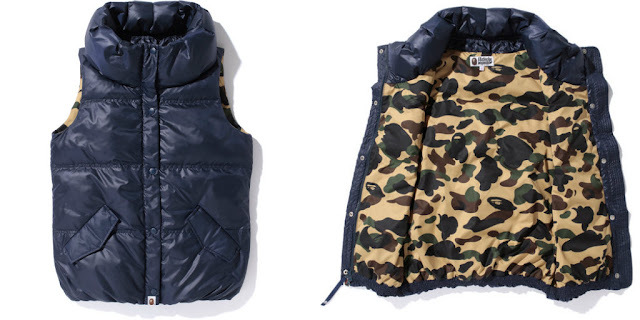 The camo lining is a nice addition to the typical navy vest. And the funnel neck is a nice bonus, too. 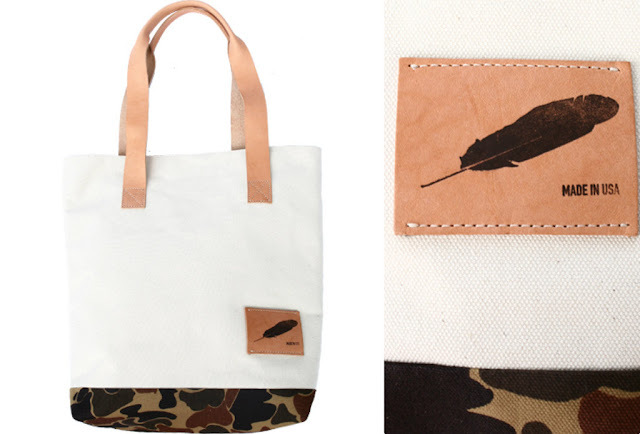 Rogue Territory Drake Camo Tote. You can never have to many totes, men and women alike. Also, it's made in the USA. Word. Notebooks. For all you writers and wannabe writers, you need one of these for the moments when strokes of genius catch you off guard. Small enough to fit in your back pocket, stylish enough to whip out anywhere. Not a writer, just pretend. 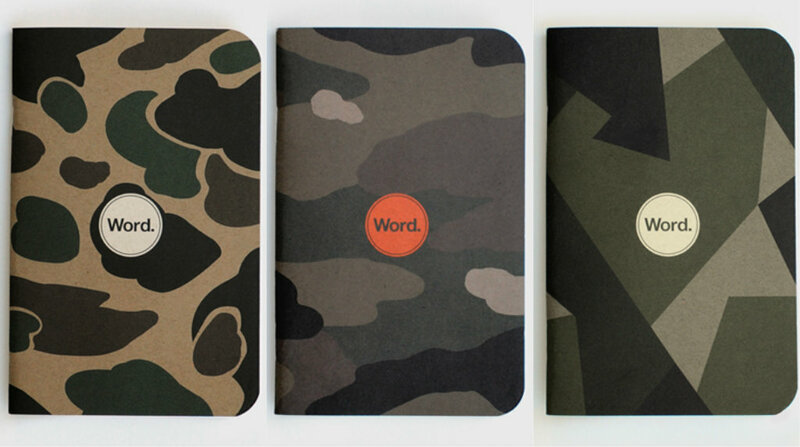 10 bucks will get you 3 of these lil' notebooks. Also, made in the USA. Rogue Territory & Baldwin Denim. A pick for guys and a pick for gals. Both pants are made in the USA. Camo pants are good for days when you only wanna wear a white tee -- they make that white tee a hundred times more interesting. 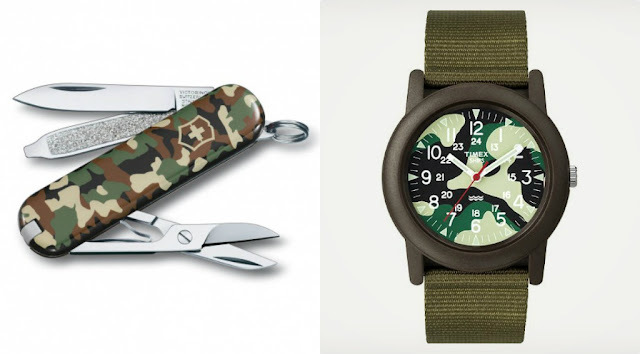 Swiss Army Camo Classic & Timex Camper Camo. These are two things any person riding on public transportation cannot do without. You can easily shank someone and make sure you'll still be on time for class. I'm kidding. 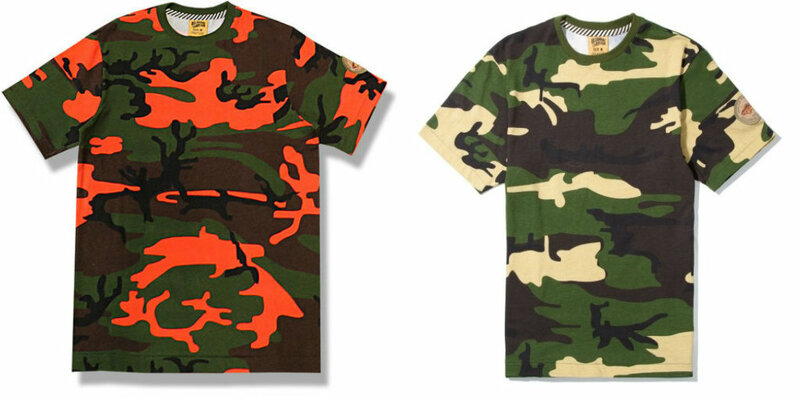 Billionaire Boys Club tees. Just like camo pants can make a white tee more interesting, a camo tee can make jeans more interesting. Comfy and cool. Be sure to like us on Facebook and follow us on Tumblr.